The Oval has been an iconic part of our community since its creation in 1909. The expansive grassy area with the long promenade of trees that point directly to the Administration Building add both a peace and a grandeur to the University. 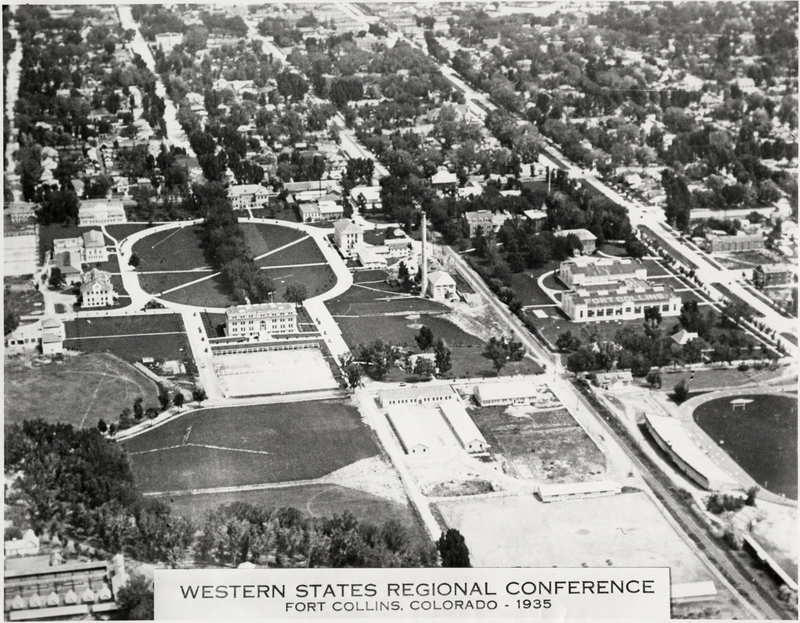 This 1935 aerial photo is from the CSU Digital Archive — Print #13685. ID#: UHPCS05C603123. Now take a look at approximately the same scene via Google Maps from 2015/16. 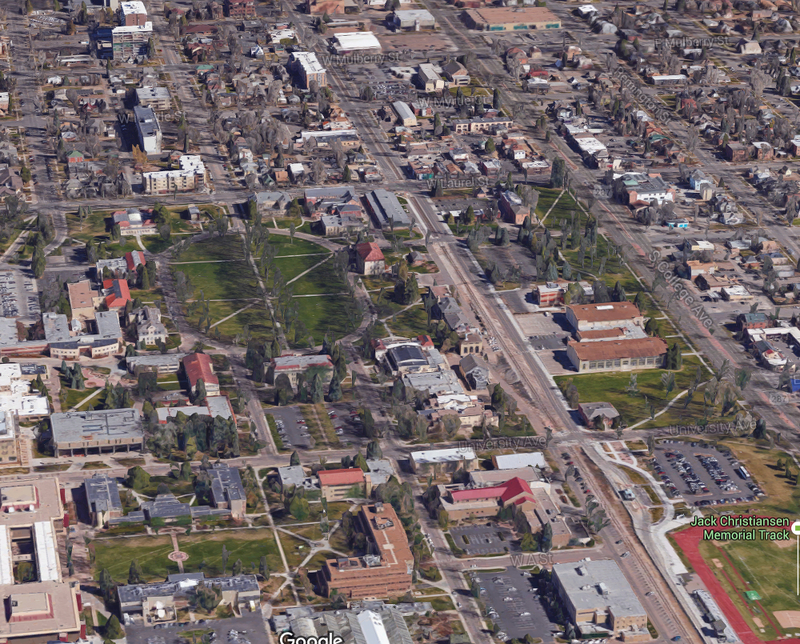 The Colorado State University campus looking north/north-east. Image from Google Maps. In addition to the campus having many more buildings today, it also has more parking lots. Apparently enough people walked, biked, or took the streetcar to campus back in 1935 that there weren’t many cars. And there was probably enough street parking available for those folks that did drive in to the school. Old Main was still standing strong when this photo was taken. And in the lower right hand corner you can see the on-campus football stadium from back before Hughes Stadium was built. I *think* that the buildings to the lower left in the older photo are from a neighborhood of small houses that have seen been removed to make way for an expanding campus. And in the center of the old photo you can see the old smoke stack from the heating plant. What other little tidbits do you notice?